If you’re a coach for baseball athletes, it will never matter how knowledgeable of the sport you are if your communication skills are garbage. What truly bonds a team together is the way in which they communicate, both verbally and non-verbally. When everybody is bought-in to the coach and to the success of the team – that’s what creates an unstoppable force of “one” rather than a diverse group of individuals. I wanted to write this article for you today because I have seen so many coaches in the past suffer the consequences of a misaligned team, even though the coach himself had excellent advice to offer everyone. If you follow my three critical rules for coaching, you will be able to create the motivation and mental performance skills your team needs in order to dominate this season. That’s arguably the best two-word advice I could offer some self-proclaimed experts in strength training or sports development. I call them “experts” because they do have plenty of fun facts to share about sports physiology, but that doesn’t mean you’re a coach. Experts prioritize content over context, coaches prioritize context over content. A good coach won’t mind being quiet and not demonstrating their knowledge every chance they get, and they will replace this quiet time with asking questions to actually listen to the athlete who is asking for advice. In other words, you can’t talk and listen and at the same time. You can’t play both expert and coach, you need to have the self-awareness to know when to shut up, and when to listen. The reality is, a huge percentage of the time it’s the fact that the athlete has too much information to work with for their goals, and not too little. Whether they realize it or not, they are looking to you to simplify the equation, not complicate it further with technical jargon. 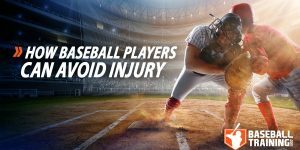 In an athlete-centered service industry such as the world of baseball, the coach-client relationship needs to rely so much more on application than information. Long-term athletic success is built upon compliance, not an overload of information. 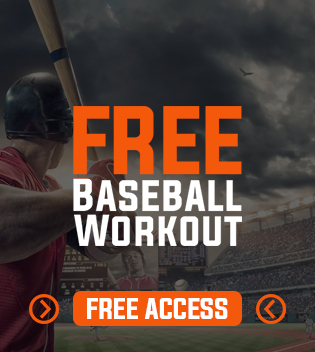 Have a look at the many titles of blogs currently available that are 10,000 words explaining the friggin’ biceps curl, will this really help your pitcher? Or are experts completely complicating the heck out of things for the people who just need some simple technical cueing? Over-complicating what is simple is not a sign of an elite coach. Experts will talk and direct, when real coaches will listen and guide. If you want my advice on the art of coaching, it begins with Rule #1…Shut Up. If you’re a baseball skills coach or a member on the strength and conditioning staff, never underestimate the power of the messages you’re sending to your current and potential athletes via your non-verbal communication. The varying elements of non-verbal communication are absolutely essential towards building a real coaching relationship with your team, having a professional practice, and emitting the character qualities you have that you want to shine when the spotlight of the game is on you. Very subtle nuances about the way we carry ourselves and the way in which we choose to communicate speaks much louder than what words we are actually saying. How you see yourself, and how others see you. I guess if I was to put this second rule very short, if you want others to see you as you see yourself, then start encompassing the qualities that makeup who you want to become. It’s not always about being informative, it’s about being effective. You may be the smartest programmer and skills coach in the world, but in order to create change in your team or change in your athlete; they need to be picking up what you’re putting down in a way that truly resonates with them. Krebs cycle metabolic pathways… how about just energy? Oxidative phosphorylation… how about just fat burning? Body composition alteration… how about just muscular and lean? You know, I am super grateful for all of the people that have enjoyed my podcasts, video, and writings. 1. They say I explain things in a way they could understand. 2. They say I provided actionable items that they felt comfortable and confident using. Information is not an impressive coaching characteristic if you can’t communicate it clearly. Clarity brings actions, complexity brings confusion. This is what separates “programmers” from real coaches. Clear communication always beats trying to sound smart, and sounding smart doesn’t mean you’re being an effective coach. At the end of the day, a real coach understands that what he is capable of or what he knows means absolutely nothing if he can’t communicate in a way that is going to benefit the athlete or team that he is working with. Communication is everything, and we have to start respecting the FACT that no matter how many textbooks you read – you will never be a real coach until you learn the ability to have your team want to work hard for you, rather than have to work hard. The difference between want and have is the difference between 1st and last place – and it all begins with the skill of communicating. 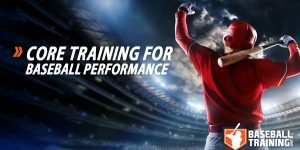 If you’re interested in using completely “done for you” training programs to maximize every last ounce of performance optimization to create the ultimate baseball athlete, check out our programs here today.